Founded in 1992 by Rodney L. Anderson, Pancheros is a quick-serve, fresh-Mexican franchise famous for serving tortillas pressed fresh right before its customers' eyes and filling them with the freshest, highest-quality ingredients. Burritos are customized and mixed with "Bob the Tool" to get every ingredient in every bite. The menu also includes quesadillas, tacos, burrito bowls, salads and homemade salsas. A simple menu of fresh, high quality ingredients used in large portions to create a superior product. Homemade tortillas prepared from scratch in the restaurant daily and pressed when the customer orders. "Deli-style" service designed to involve the customer in the preparation of the custom made product. 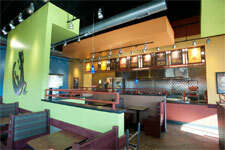 As a business concept proven over 23 years, Pancheros has now embarked on a program of aggressive growth and expansion. Therefore, Pancheros Franchise Corporation is offering franchising opportunities to companies and individuals seeking to develop and operate their own Fresh Mexican restaurant! In considering potential franchisees, Pancheros looks for financially qualified individuals with strong leadership skills, and highly motivated individuals committed to building a great brand. Prior restaurant experience is a plus, but not required. Financial requirements include a net worth of $750,000 and liquid assets of $250,000. 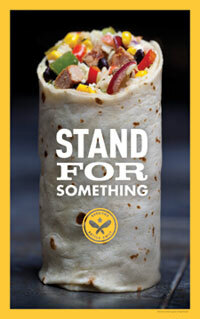 Looking for more information about Pancheros Mexican Grill? Take a moment to fill out our quick information request form.